When you are working out and the sun has been searing things outside, you may feel hot and stuffy fairly quickly. Such feeling is very uncomfortable, and it makes you want to just finish your workout session right away. However, you can help yourself now by wearing a cooling towel while working out. A cooling towel can help to keep your body cool and fresh while working out by circulating air and moisture, at the same time regulating evaporation rate. 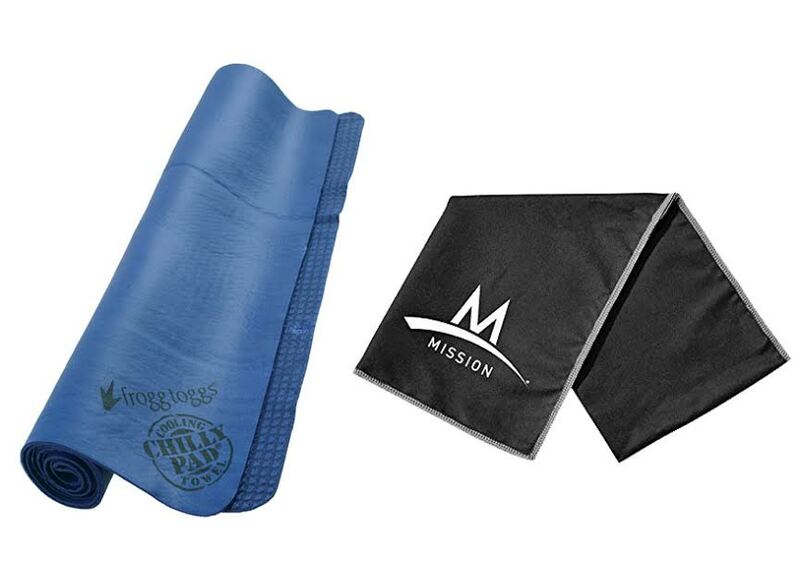 There are now two popular cooling towels: Frogg Toggs and Mission Enduracool. Which one is better? Frogg Toggs is a cooling towel that claims to be effective in providing hours of cooling relief. It says that it activates quickly, and is able to cool up to 30 degrees. The cooling towel has been reinforced with a tough, durable athletic mesh to ensure its longevity for years, as well as the UPF50+ UV protection. Compared to Mission Enduracool, Frogg Toggs is slightly wider, as it measures 33 inches x 13 inches. It is available in several color variants, such as black, deep purple, sky blue, varsity blue, green, orange, yellow, and white with the US flag motif. Mission Enduracool is also a cooling towel that claims to be able to cool up to 30 degrees below the average body temperature. It is equipped with a chemical-free cooling technology and the UPF50 UV protection. It is available in more color variants and more motifs, such as black, blue, mossy oak, peony black magenta, real tree, and city scape teal/lime. Mission Enduracool is able to cool a little bit better than Frogg Toggs. This is apparently because Mission Enduracool is thinner and thus more breathable than Frogg Toggs. But that is not the only advantage of Mission Enduracool over Frogg Toggs. Many people have complained that Frogg Toggs is too thick and too heavy, and it may become like a brick when dried out. On the other hand, Mission Enduracool is more lightweight and much more flexible, drying out into a soft cloth that is certainly more comfortable to be left around your neck. In the end, we recommend you to choose Mission Enduracool. It cools slightly better, and it is much more comfortable to wear. It is also available in more color options with more interesting designs.